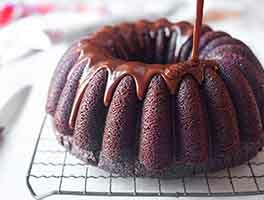 Our Tiered Bundt Pan Set makes three gorgeous Bundt cakes in graduated sizes (6¼", 8½", and 10¼"). 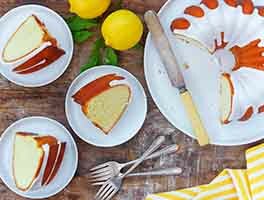 Serve them separately for a crowd or stack them together for a stunning special occasion dessert. 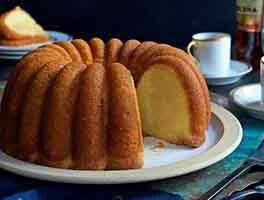 Two of our Lemon Buttermilk Cake Mixes, or two standard Bundt cake recipes, will fill all three pans. Small: 6¼" x 2½"; Medium: 8½" x 2¾"; Large: 10¼" x 3½"
Hand-wash recommended. Oven-safe to 400°F.